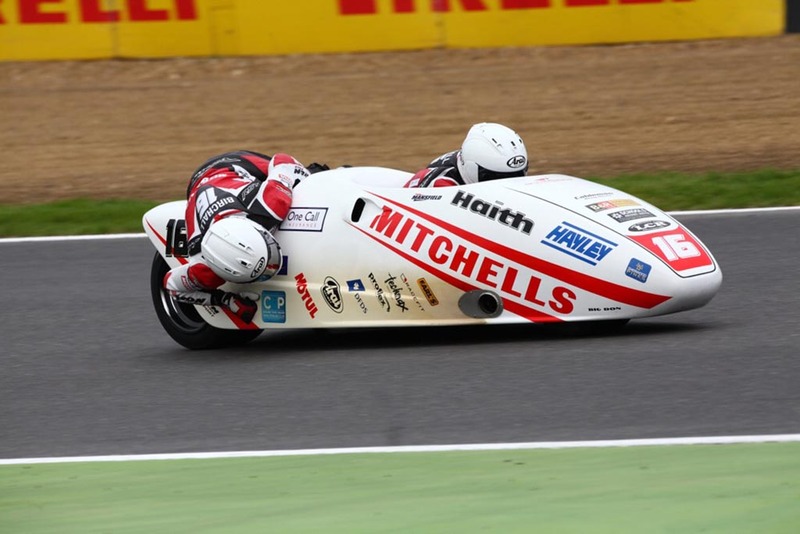 The RKB – F1 Championship sweeps into Snetterton for the first time this season and the Birchall brothers can’t wait to get stuck into the action after missing the last round due to their FIM World Championship commitments. After competing in Hungary and Croatia for the last two weekends Ben and Tom can’t wait to get stuck into the domestic competition, once again. After missing the last round at Knockhill the brothers are eager to put some distance between themselves and the pairing of Shand and Hyde, who are neck and neck on 30 points at the top of the leader board. 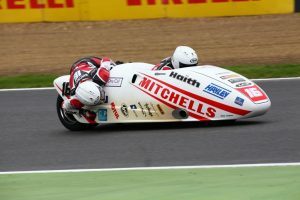 Once again the brothers are looking to assert their dominance on the 600cc outfit and we spoke to Ben earlier in the week to get his thoughts on this weekends racing. 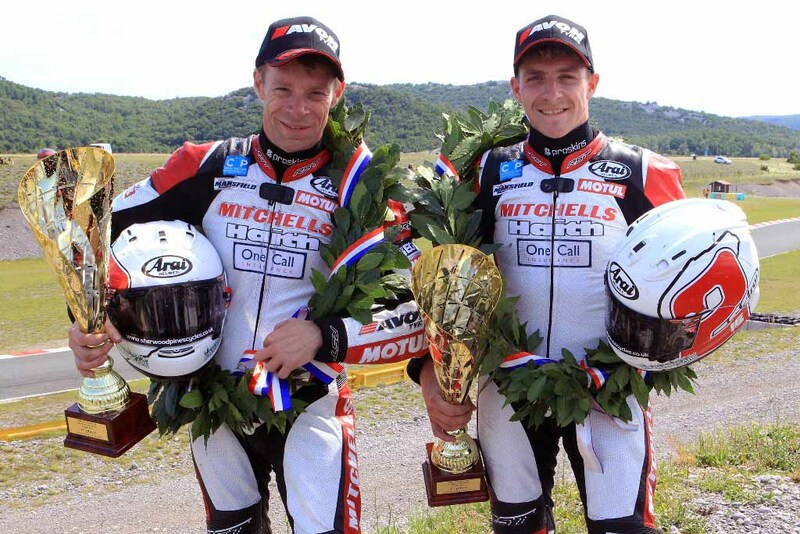 “We really enjoy it down at Snetterton, it’s fast and technical in places and that’s the way we like it. Of course, we’re looking to win but, so is everyone else! It’ll not be easy but we’re confident we can do the business. “We’ve done a lot of travelling, as always but we’ve had some fabulous support from Sponsors and the fans, so yeah, it’s been really good. From Snetterton we go straight to the Southern 100 so we’re really busy just now. Norfolk’s Snetterton circuit has been transformed in the last 5 years following a multi million pound redevelopment plan. The improvements have been met with rave reviews from both spectators and competitors alike and the Snetterton 300 track has been designed to bring international levels of racing to the circuit by gaining an FIA Grade 2 Licence. Snetterton is known as a fast and exciting circuit with long straights and a wide variety of turns that require skill, handling and power to overcome. The circuits designers took inspiration from some of the worlds great circuits when they planned out the 300 track and as such, a weekend at Snetterton is a real treat for both competitors and spectators. If you’re planning to go down to Snetterton this weekend to watch the Birchalls race, you’ll find the circuit 10 miles north-east of Thetford on the A11 from London to Norwich. Coming from the south, leave the M11 at junction 9 and follow the A11. From the north or west, use the M11/A11 and join the A11 after Newmarket. This weekend at Snetterton is set fair with only a little broken cloud to mention, at this point it looks like the weather will be dry and bright with temperatures in the low twenties Celsius and with average wind speeds in the low teens. It’s looking like a great weekends racing for competitors and spectators alike. On Saturday afternoon the Birchalls are out again at 13:35 for the first of the weekends races, it’s a 12 lap affair that promises to be super competitive now that the leaders points gap has been cut back to nothing. All eyes will once again be on Ben and Tom as they go into the final day of this pivotal weekend. It’s going to be a long day for the Mansfield duo with the second race coming at 17:25. At this early stage we are unsure of the TV schedule but it looks as though the racing will be live on Eurosport but only from 16:00 on Saturday so the Brothers will already have raced unfortunately. Sundays coverage (on eurosport at least) is again affected by the giant sporting events of Wimbledon and the Tour de France, with coverage not starting until 11am and finishing around 13:45pm again completely missing our guys out of the televised action.